OUR ONE-STOP SHOPPING APPROACH ALLOWS CLIENTS TO SAVE VALUABLE TIME, MONEY, AND RESOURCES WHEN ORDERING BOOKS. WE HAVE A TEAM OF REPRESENTATIVES THROUGHOUT THE COUNTRY WHO ARE ABLE TO BRING A SELECTION OF NEW TITLES FROM THE TOP PUBLISHERS TO YOUR LIBRARY. OUR ORDERING PROCESS IS MADE SIMPLE TO SAVE YOU TIME. AS A FULL SERVICE COMPANY, RAINBOW BOOK COMPANY CAN PROVIDE FULLY CUSTOMIZABLE, SHELF READY PROCESSING. OUR IN-HOUSE CATALOGING TEAM PRODUCES HIGH QUALITY LABELS AND MARC RECORDS ALIGNING TO DISTRICT OR SCHOOL SPECIFICATIONS. WHILE MEETING WITH OUR REPRESENTATIVES, YOU WILL HAVE ACCESS TO THE NEWEST AND BEST TITLES AVAILABLE. THESE TITLES ARE CLOSELY MONITORED TO GUARANTEE THAT THE BOOKS SHOWN ARE AVAILABLE AND WILL REMAIN THAT WAY UNTIL YOU SUBMIT YOUR ORDER! BECAUSE FULFILLMENT IS A TOP PRIORITY FOR OUR CUSTOMERS, RAINBOW BOOK COMPANY AIMS FOR NEARLY 100% FULFILLMENT ON EVERY ORDER. OUR VAST INVENTORY INCLUDES A TREMENDOUS NUMBER OF SPANISH AND BILINGUAL TITLES THAT ARE READILY AVAILABLE FOR YOUR SHELVES. OUR SELECTION OF SPANISH AND BILINGUAL TITLES RANGE FROM PRE-K TO HIGH SCHOOL. OUR PROFESSIONAL COLLECTION DEVELOPMENT TEAM CAN ASSIST IN CURATING THE PERFECT COLLECTION FOR YOUR NEW SCHOOL LIBRARY. IN ADDITION, WE CAN HAVE YOUR ORDER SHELF READY AND PACKED IN DEWEY ORDER. OUR TEAM WILL MAKE THE OPENING OF ANY NEW LIBRARY A SMOOTH AND RELIABLE PROCESS. AT RAINBOW BOOK COMPANY, WE PRIDE OURSELVES ON PROVIDING THE FINEST PERSONALIZED CUSTOMER SERVICE IN THE INDUSTRY. OUR HELPFUL AND KNOWLEDGEABLE STAFF IS ALWAYS AVAILABLE TO ANSWER QUESTIONS OR RESOLVE A PROBLEM. RAINBOW BOOK COMPANY IS A DISTRIBUTOR OF FICTION AND NON FICTION LIBRARY BOOKS STARTING AT THE PRE-K LEVEL THROUGH HIGH SCHOOL. 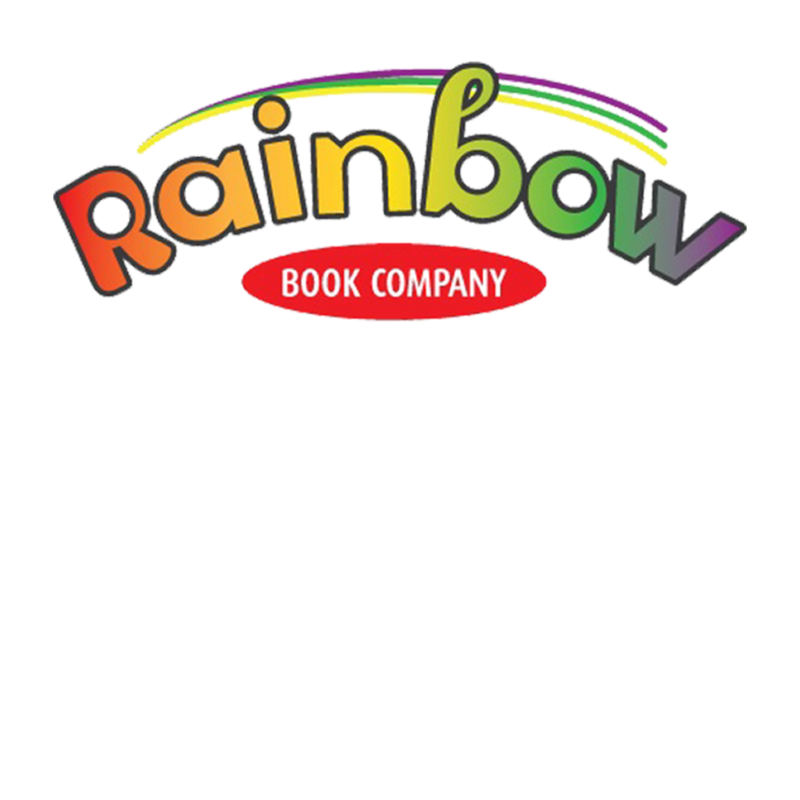 RAINBOW BOOK COMPANY FEATURES ACCELERATED READER TITLES AND THE NEWEST COPYRIGHTS OF ALL BOOKS MAINTAINED IN OUR INVENTORY. WE PROVIDE A VERY DIVERSE CROSS SECTION OF TITLES, AT DISCOUNTED PRICES, WITH HUNDREDS OF PUBLISHERS REPRESENTED IN OUR INVENTORY. Whether you are a large district, small school or classroom, you can be sure you are receiving the highest quality customer service. Our curated collections, featured lists, and state award lists on our enhanced website can save you valuable time and money. Starting with our “Collections” tab, you have a jump start on theme and curriculum based titles. Pair these web offerings with our Collection Development department and you have a one-stop shop for all your curriculum needs; including STEM/STEAM, Leveled Readers, NGSS, Summer Learning, IB, Class Sets, Novel Units or your specialized program. FROM LARGE PUBLIC LIBRARY SYSTEMS TO A SMALL BRANCH, RAINBOW BOOK COMPANY CAN HANDLE ALL YOUR BOOK NEEDS WHILE GIVING YOU A CUSTOMER SERVICE EXPERIENCE THAT YOU WON’T FORGET. OUR SPECIALIZED SERVICES FOR PUBLIC LIBRARIES STREAMLINES YOUR ORDERING PROCESS, GIVING YOU ACCESS TO THE NEWEST TITLES AND AN EXTENSIVE BACKLIST BOTH FROM OUR PUBLISHING PARTNERS AND IN OUR RAINBOW BOOK COMPANY LIBRARY BOUND EDITIONS. AT RAINBOW BOOK COMPANY, OUR HANDS-ON APPROACH MAKES IT EASY FOR YOU TO FILL YOUR SHELVES! WE HAVE THE NEWEST TITLES, A DENSE BACKLIST, AND COMPREHENSIVE COLLECTION OF WORLD LANGUAGES WITH THE BEST SELECTION OF K-12 BOOKS ON THE MARKET. A HIGHLIGHT OF OUR COLLECTION IS OVER 52 WORLD LANGUAGES, INCLUDING SPANISH LANGUAGE AND BILINGUAL TITLES, WHICH CAN HELP BUILD A HIGH INTEREST, COMPLEX LIBRARY EXPERIENCE FOR ALL OF YOUR UNIQUE READERS.